I began collecting crystals in 2015 after learning about chakras and what happens when they become unaligned. I have a particularly difficult time keeping my heart chakra aligned, and therefore have collected several green crystals such as jade, ocean jasper, malachite, green aventurine, green calcite, unakite, and chrysocolla. I’ve incorporated some of these crystals into jewelry, such as rings and bracelets. What I haven’t done yet, however, is incorporate one of my larger stones into a pendant. 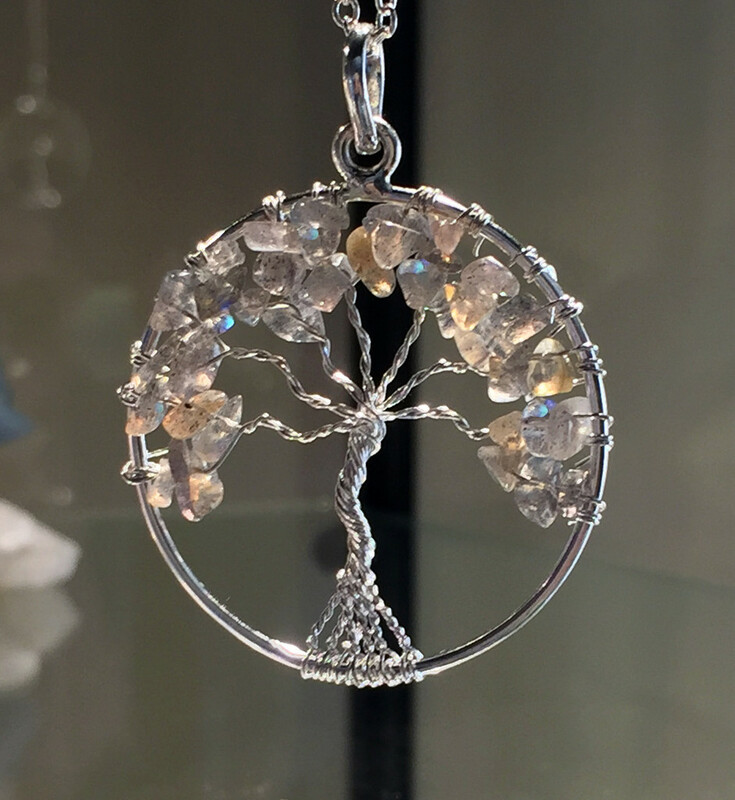 That’s where this Tree of Life pendant comes into play. I’ve been scouring the internet looking for easy beading tutorials and stumbled across this beauty. 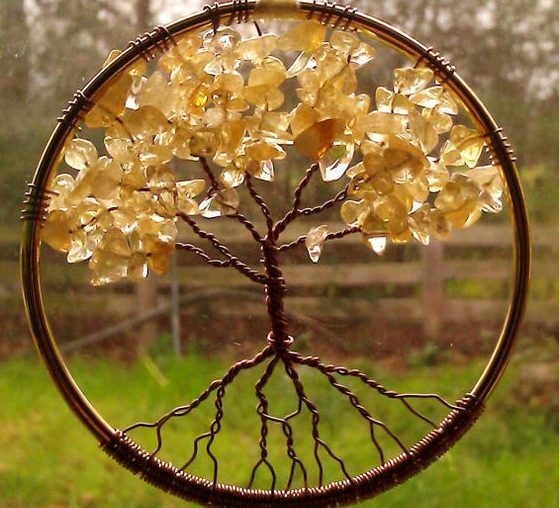 the Tree of Life is a powerful symbol representing the “as above, so below” idea that is part of many religions around the world. It connects the underworld to our world, and our world to the heavens. It’s a potent image, one that carries a lot of weight and at the same time, much comfort. 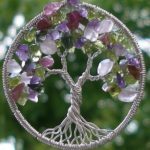 If you’re familiar with the Tree of Life and would like to incorporate this into your own wardrobe, you can follow along with the tutorial provided by the Beading Tutorials site. 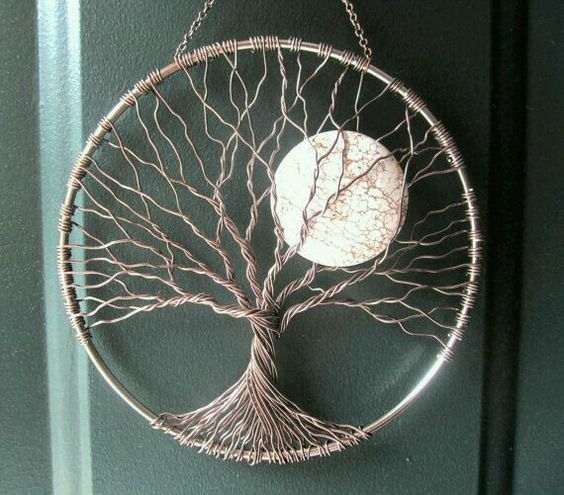 Of course, you’ll need to make sure you have the following materials first: Artistic Wire (22 gauge as well as 24 gauge), a 51x49mm hoop (cast metal), a pendant of your choice (make sure it fits inside the hoop! ), and some wire cutters and pliers. What’s nice about this tutorial is that it isn’t too difficult for a beginner or intermediate beader. 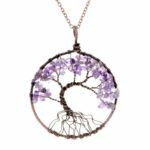 With the hoop you don’t have to create your own and worry about how the pendant will fit or how it will look (too thick, too thin, not sturdy enough, too big to handle with the pliers). 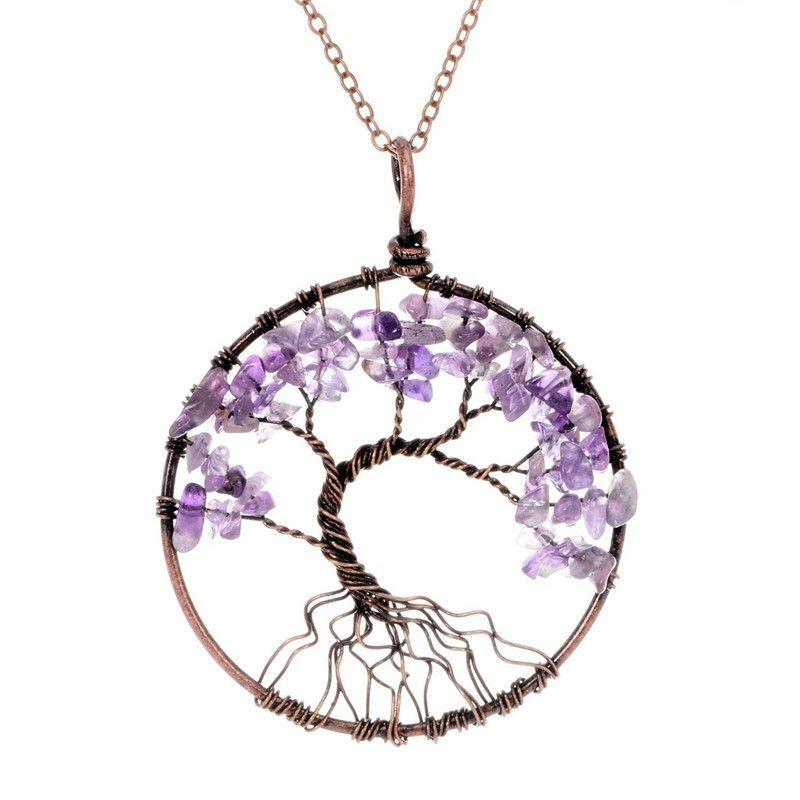 You can instead jump straight into securing your pendant inside the hoop and then wrapping each section of the wire until it resembles the Tree of Life. Beading Tutorials has a few pictures to complement their written tutorial, but the pictures are high quality and illustrate just what’s needed for each of the most important steps. Ensuring you have the proper materials will also go a long way to prevent frustration. You can of course experiment with different sized hoops, different colors of wire (try copper with blue or green crystals, gold with purple or black crystals, and silver with orange or pink crystals), and a variety of chains to attach the pendant to, but it’s best to follow the tutorial as closely as possible the first time so that you can get comfortable with the techniques before adding on another challenge. 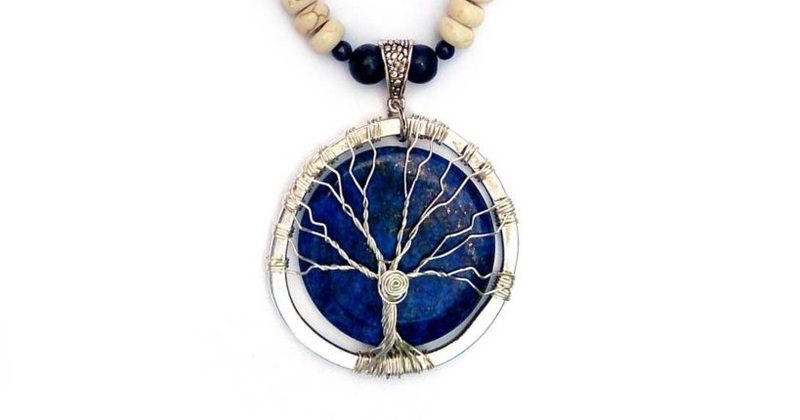 Once you make the first one, you will most likely want to make more — they make excellent presents for special occasions such as holidays, birthdays, and anniversaries, and this jewelry isn’t necessarily feminine or masculine so can be presented to any gender. If you wrap the pendant and decide that you don’t want to incorporate it into a necklace, you can try it out as a bracelet, a keychain, or as a hair accessory. If you’d like to read the whole tutorial, you can do so on the Beading Tutorials website. You can also find other jewelry tutorials, as well as a shop where you can purchase beads and other beading supplies.